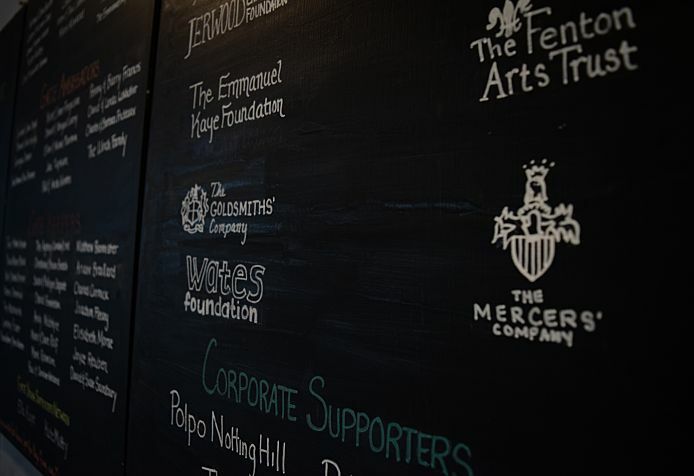 The Gate's work is made possible by public funds from the Arts Council England, and we are hugely grateful for it. We are proud to be recognised as an important theatre in the UK, despite our small scale, and we take seriously our responsibility for incubating the next generation of theatre-makers. Scroll down for an infographic detailing how we use that funding. Public investment in culture is absolutely crucial to the health of our society. The arts bring our communities together, provide us all with lifelong learning opportunities, showcase British talent, boost tourism, and create employment. In short, the arts make us better humans. Public funding for the arts make up just 0.05% of Government spending - that’s just 14p per person – and delivers an extraordinary return, supporting artists, theatres, galleries, libraries and museums all over the country. To find out more watch the film below, and visit www.artscouncil.org.uk/what-we-do. Please always remember to tell your local MP just how important government support for the arts is to you. Click here to find out who your local MP is, and how to contact them.